Some species of fish, mostly Tilapia in the Epe Lagoon in Lagos State have been declared poisonous and as such unsafe for human consumption, BusinessDay can authoritatively report. 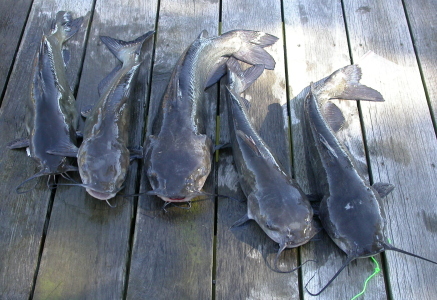 A special research on fishery organisms carried out by some researchers in aquaculture and fisheries, from the Institute of Food Security, Environmental Resources and Agricultural Research of the Federal University of Agriculture, Abeokuta (FUNAAB) showed that five species of fish usually caught in the Epe Lagoon and marketed in Lagos, Ogun and other parts of the country, are poisonous and injurious to human health. The study carried out on mostly Tilapia from Epe Lagoon by some researchers and lecturers led by Iyabo Taiwo, a doctoral degree holder, indicated that heavy presence of metals, namely, manganese, iron, copper, zinc and lead in the Lagoon have contaminated the muscles and bones of the fish, making them unsafe for human consumption. Taiwo, the leader of team, who presented their findings in a paper entitled “Heavy Metals Assessment in some Fishery Organisms from Epe Lagoon” at the Second Annual In-House Research Review Meeting of the Institute of Food Security, Environmental Resources and Agricultural Research (IFSERAR) held recently in Abeokuta, listed the types of fishes, including Tilapia ‘wesafu’, Chrysichthy Spp, Penacus notialis, Mormyrus rume and Gymnarchus nilocicus. The researcher further explained that “there is the possibility of chronic heavy metals toxicity resulting from edible fishes consumed from the Lagoon”, just as she warned Nigerians that the chronic and heavy presence of poisonous substances in the muscles and bones of the five identified fish species could have serious implications on public health. She however recommended to the Federal and Lagos governments, periodic metal monitoring of Epe Lagoon, considering the nutritional and socio-economic importance of the Lagoon to residents of the area, Lagos and Nigeria as a whole, since the fishery organisms caught from the Lagoon are marketed in Lagos and Ogun states, as well as other parts of the country.